EMERGENCY rescue of cocker girl that can't walk! Here we go again! 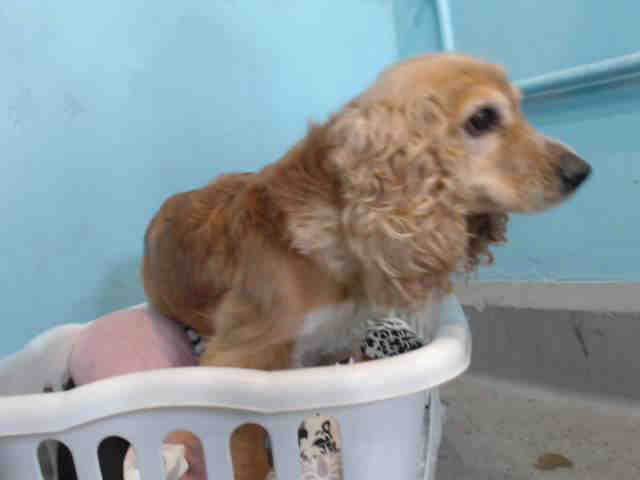 Another shelter cocker spaniel that is in dire need of rescue. The shelter sent her to an outside vet for x-rays and the guess is that she has something going on neurological with her back/spinal cord. We are rushing her to the emergency animal hospital that has a top notch neurologist. Chances are she will need an MRI right away and if she is a candidate for back surgery, she will need it asap if she is to ever walk again. No donation is too small! Please donate $5 or whatever you can - it all adds up when a lot of people each put in a little bit. Thank you so much for considering helping this little lady!